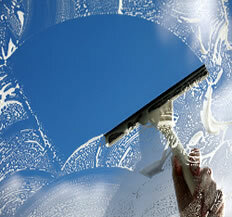 Have you have ever cleaned your windows and then looked back at the job only to become frustrated with the streaks? If you answered yes to this question, then you need the services of a professional cleaner. If you are short on time, or can’t seem to clean the windows just the way you’d like, then those are two good reasons to hire a professional. This article also points out a few more. Cleaning windows is a very time consuming task, especially if you really don’t know what you are doing. So if your home has a lot of windows, be prepared to spend the entire day cleaning them. However, the benefit of hiring a professional cleaner is you can use that time to do something else, which you are likely to enjoy more. Professional window cleaners, have the expertise necessary to not only do a good job, but to do it quickly. They also have the equipment, which will help them to ensure that the windows are cleaned in the shortest possible time. Very often homeowners find that after hours of toiling at window cleaning, and risking injury to limbs, the results are not as they would wish. One of the most common complaints is the streaking that appears on windows that have been painstakingly cleaned. A professional cleaning will eliminate that problem. A professional cleaner, will know the different techniques to use, to clean the different types of windows. There are some windows, like the ones which slide down from top to bottom, that require a little bit of know how when cleaning. To do a good job with these, it is necessary to work on the top half first, making sure both the inside and outside is clean, and then work on the bottom half. However, this little logic escapes many homeowners, and leaves them frustrated and tired. Very often, this causes many well intentioned window cleaners to abandon the task.